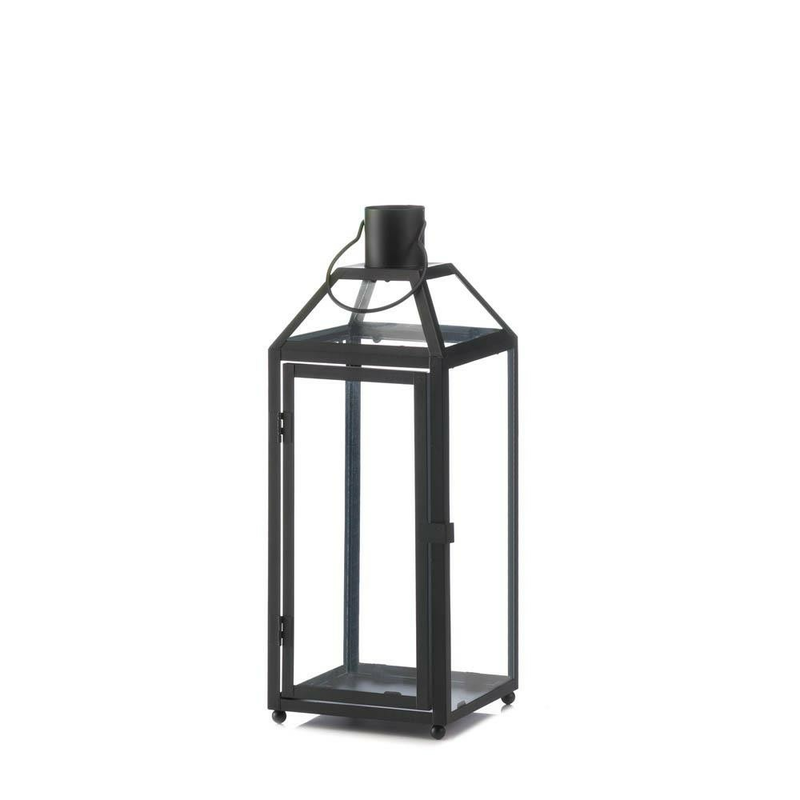 Take your decor to the height of style with this medium black iron candle lantern. 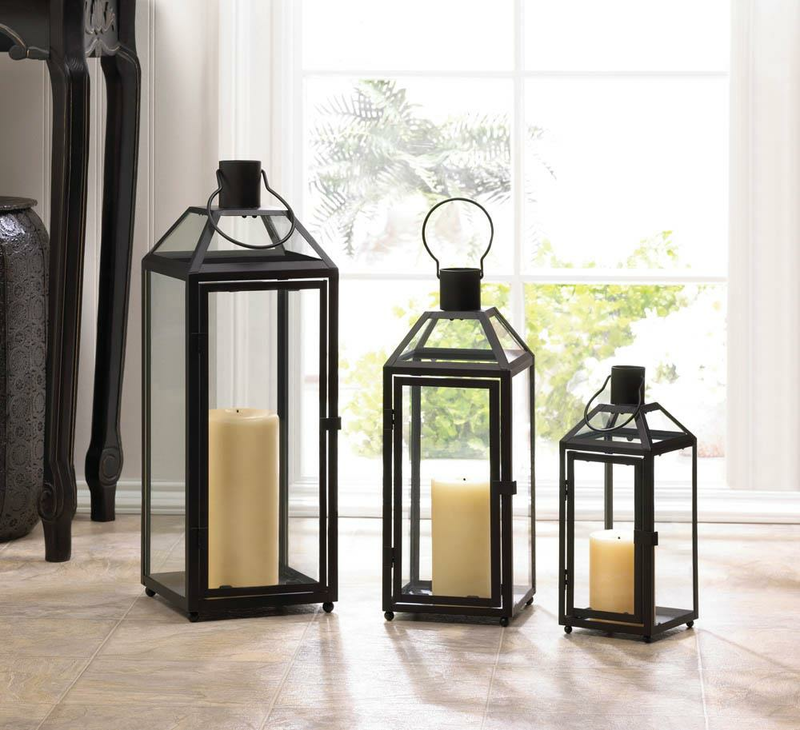 Classic lines and clear glass panels make it a surefire way to add timeless chic to your living space. Features top hanging loop and slanted glass roof panels. Candle not included. Weight 3.8 pounds. 6.25" x 6.25" x 16.5". 20" high with handle. Iron, Glass. UPC Number: 849179026820.